(Newser) – Two teenage boys have been arrested in the death of a 5-year-old Niagara Falls girl whose body was found in a garbage can. Isabella Tenant disappeared from her great-grandmother's home, where she was staying overnight. She was last seen alive with a 16-year-old neighbor and family friend, John Freeman, according to authorities. 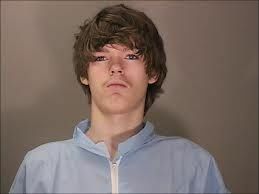 Freeman's pal Tyler Best, 18, led police to the little girl's body, said police. Freeman has been charged as an adult with murder, and Best for tampering with evidence, reports AP. Every culture's dilemma for two millenia; what to do with the typical male's crazed, murderous urges. Politicians start wars to produce a positive result: You provide someone to kill, but under some pretext which makes you a "hero," and the victims/scapegoats are too far away to care about. The world will never survive male aggression. these stupid little terds need to pay severely for doing something like this. i hope they are kept locked up long enough to truly understand what they did before they are executed.